After of day of staring up into mostly-cloudy skies, I was very tired. However, I had seen promotions for The Discovery Channel’s “The Challenger Disaster” and wanted to watch it. After filing and editing stories, I was hoping for…well, I don’t know what I was hoping for. I wanted something that spoke to me as a believer in space exploration. I doubted anything relating to the STS-51L mission would be able to do that, but opted to tune in anyway. What I watched helped to inspire me – but not in the way anyone might normally expect. The two-hour show detailed the experiences of (primarily) Dr. Richard Feynman and his experiences on the Rogers Commission (the presidential commission tasked with finding out why the accident occurred). As one might expect, the tragedy that has been inflicted on NASA by politics is touched on. However, that is not the thing which was most important about “The Challenger Disaster.” Rather, it serves as a indicator that much of a somewhat-forgotten history is being remembered, or at least discussed in the public forum for the first time in quite some time. Space enthusiasts, those that brave the cold, the early hours, the bureaucracy – have seen a wealth of documentaries about NASA, but have not seen many narratives that speak to the soul of who we are as a “people” (segmenting space fans as a ‘people’ might be a stretch, but bear with me). To be sure, “The Right Stuff”, “From the Earth to the Moon” and “Apollo 13” have helped our shared history enter into the public consciousness. But when one views these productions as a whole, they tend to just focus on the missions – and not the broader experience, those instances that take place on the periphery of the spectacle of space flight. The public views spaceflight on the hazy edges of their perception, it is something they pay attention to when celebrities or politicians tell them that it is appropriate to do so. “The Challenger Disaster” aired on Nov. 16, two months before the next anniversary of the loss of the OV-099 and her crew of seven. By having it air on a night not tied to a date the public links with the event says that crewed spaceflight, after over half-a-century, has started to merge into something that is open for discussion at anytime, on any date. Richard Feynman’s ordeal in trying to get the root of the Challenger disaster is the key aspect of The Science Channel’s recent program detailing the Roger’s Commission on the accident (Credits: Tamiko Thiel). “The Challenger Disaster,” while doubtlessly takes creative licence with some (many) of the personal conversations, the interplay between William Hurt, who plays Richard Feynman and General Donald J. Kutyna, played by Bruce Greenwood (Admiral Pike from the recent Star Trek films) is inspired. It makes the events that took place right after the Challenger accident easy for anyone to relate to. Until now, the NASA story has been largely told about the programs and the launches that took place under them.“The Challenger Disaster” strays from this template. It details one of the last endeavors of a theoretical physicist and his experiences on a presidential commission. Breaking from the norm, it focuses on something the public has, in large part, only heard in talking points. This film fills a crucial void, it is a vital extension in the space story, “our” story – “our” history. Is it pretty? No. Several scenes, including one within the Pentagon showing the dynamics within NASA, paint the agency in a very unflattering light. At the close of the show, the famous experiment that Feynman used to explain the dynamics of why the Challenger accident occurred is acted out. NASA is known for the complexity of the language it uses to describe what it does. 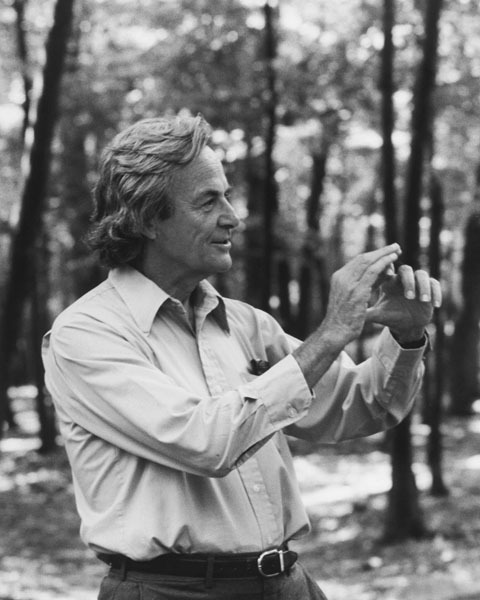 Feynman showed them what went wrong using a glass of ice water, a vice, and a piece of the rubber O-ring which many associate with the accident. However, many recognize today that neither the O-ring nor the solid rocket boosters were to blame. We now know that the chief culprit was the management at NASA at the time, its culture. Overall the show was extremely well done, an actual clip from the hearing on the Challenger accident is shown where Feynman can be seen/heard conducting his experiment at the movie’s close. It is also mentioned that Gen. Kutyna had a astronaut source which gave him information as to issues with shuttle. It is revealed that the astronaut in question – also on the Rogers Commission – was Sally Ride. Dr. Ride passed away last year, after which Kutyna revealed that she was his source. It is suggested at the end of “The Challenger Disaster” that Feynman had figured out who that astronaut was. It was revealed that Brig. 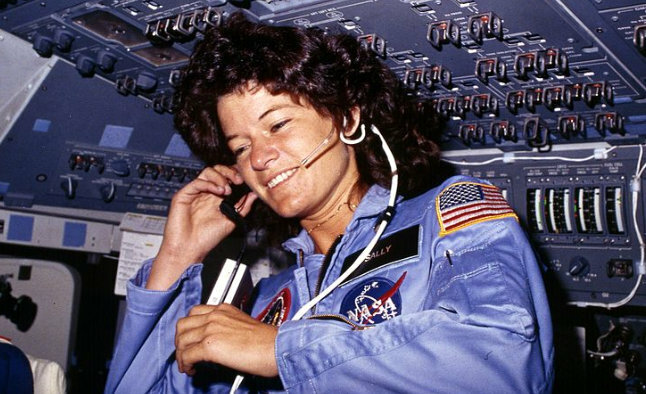 Gen. Kutyna’s astronaut source about some of the Shuttle’s woes was none other than fellow Rogers Commission member Dr. Sally Ride (Credits: NASA). My emotions have always risen to the surface whenever I see footage of the loss of Challenger. I found hearing these quotes that I knew so well made me feel strong, but positive emotions. Why? Because whenever I begin to tell the NASA story, I have to start from scratch with most people. They’ve never heard of Feynman much less his quote, they don’t know of his experiment during the Challenger inquiry. As I mentioned earlier, much of what is shown in the media details the missions, much of “our” (space enthusiasts) history – is never told. Here was an aspect of our culture, who we are, our collective experience – irregardless of how sad or depressing it was – finally making it out in an accessible format to the public. If the public as a whole is to understand us, as we are, then more shows like “The Challenger Disaster” need to be produced. More of our “hidden” history needs to enter the mainstream. “The Challenger Disaster” aired simultaneously on The Science Channel and Discovery Channel. They are to be commended. For far too long the American consciousness has been polluted with never-ending marathon’s glamorizing gangsters (A&E) or of individuals willing to air the collective train-wreck that is their family. The events that have surrounded the loss of OV-099 have been shrouded for the better part of three decades. “The Challenger Disaster” – has helped to bring some of the issues – into sharper focus (Credits: NASA). There are endless stories, a never-ending stream of history that is amazing, inspiring and yes, depressing which, by-and-large the public is almost completely unaware of. With luck more shows such as “The Challenger Disaster” will be produced and a richer tapestry, in all its colors, can be seen and acknowledged by a far-wider audience. More importantly, there is a growing movement of new space enthusiasts – if they are to be the future, our future – then they need to learn from the mistakes of the past. 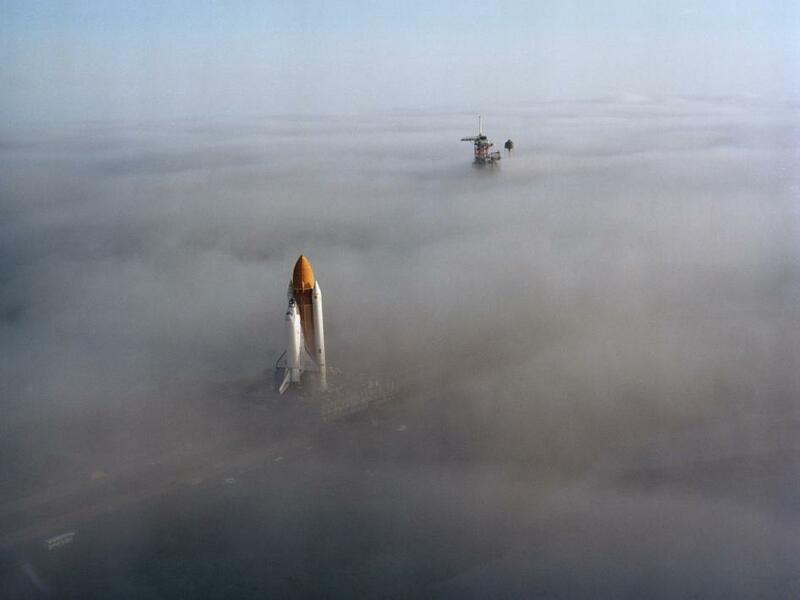 Image caption: The Discovery Channel and The Science Channel recently aired a show on the Challenger disaster. How accurate was this show and what does it say about much of the shared space flight experience? (Credits: The Science Channel). Opinions expressed in this article are those of the author and do not necessarily reflect the positions of Space Safety Magazine or The Spaceflight Group.